EFG Hermes, a leading financial services corporation in frontier emerging markets (FEM), said it had played a key advisory role to Cairo for Investment & Real Estate Development (Cira) on its E£1.24 billion ($694 million) initial public offering (IPO) on the Egyptian Exchange. Cira is the largest integrated provider of educational services in the Egyptian private sector, owning and operating 19 schools with over 24,000 enrolled students as of 2018. Cira’s schools operate under three distinct brands, namely Mavericks, Futures and Rising Stars, and offer multiple educational tracks, including British, American, French, German and National curricula. It caters predominantly to the fragmented middle-income segment, offering premium education at affordable pricing. EFG Hermes said it acted as sole global co-ordinator and bookrunner on the transaction. 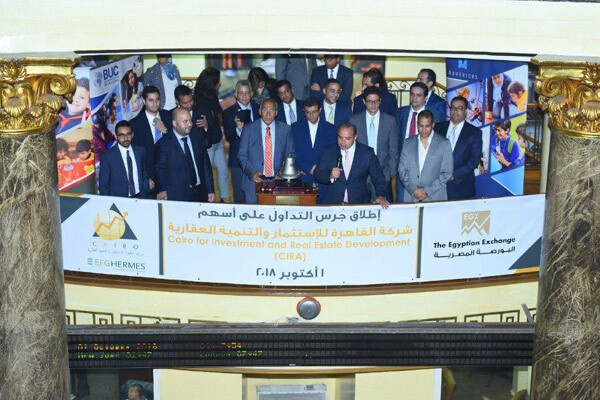 Shares of Cira were admitted to trading on the Egyptian Exchange under the stock ticker Cira. "We are particularly pleased with this transaction that brings a new, high-growth and underpenetrated sector to the Egyptian capital market through one of Egypt’s largest private sector educational platforms," said Mostafa Gad, co-head of Investment Banking at EFG Hermes. “Egypt’s education space is supported by strong demand and a high growth potential owing to the country’s demographic profile. Meanwhile the sector’s limited players and underinvestment add up to an incredible investment opportunity as illustrated by our ability to build a solid base of diversified investors,” he added. Cira is also active in the higher-education segment with its Badr University in Cairo (BUC), which houses nine faculties as of 2018.